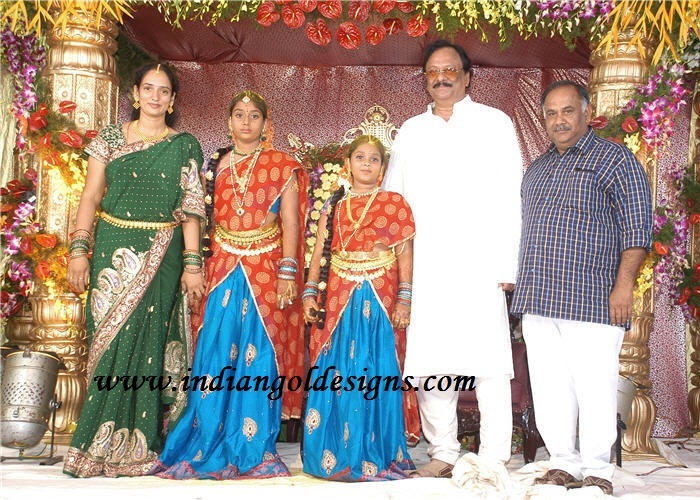 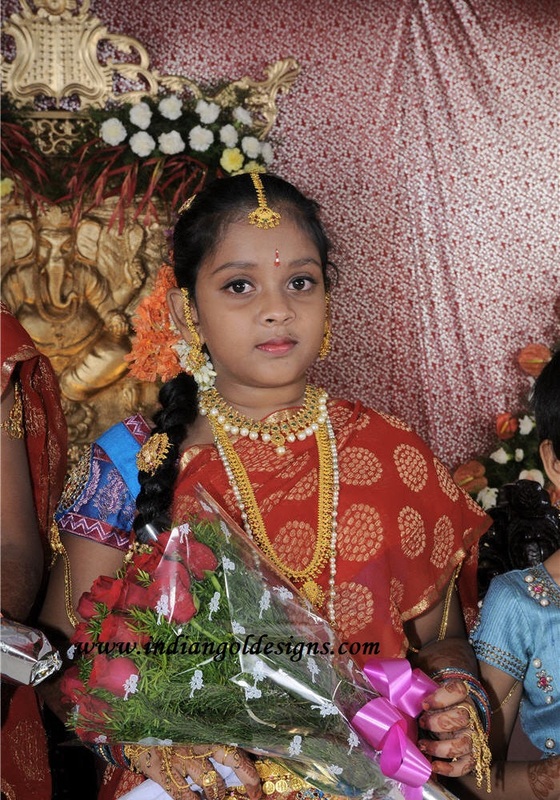 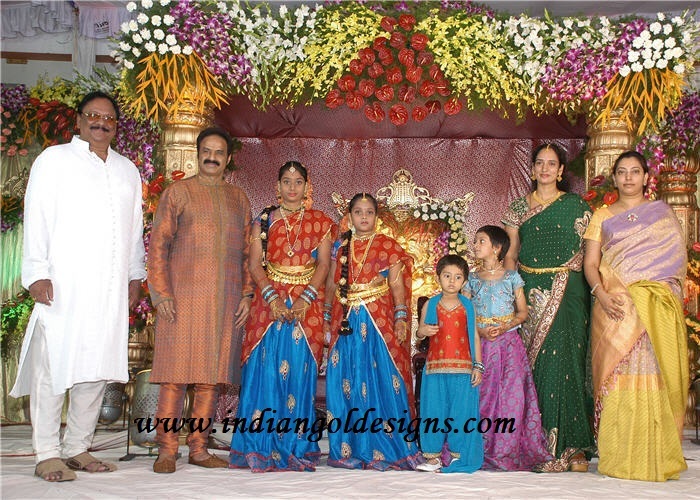 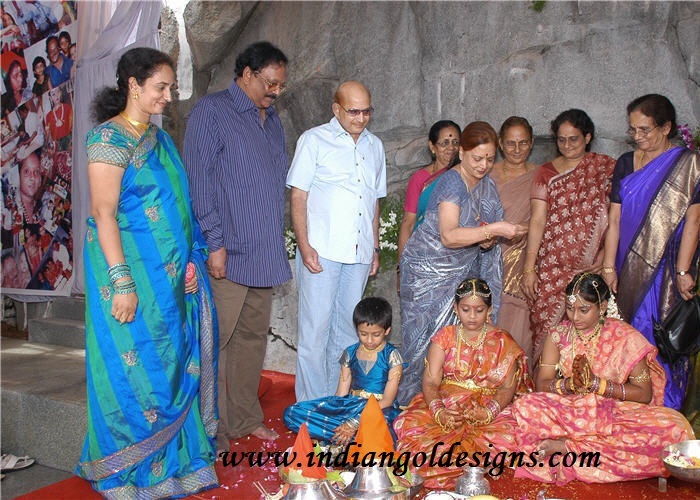 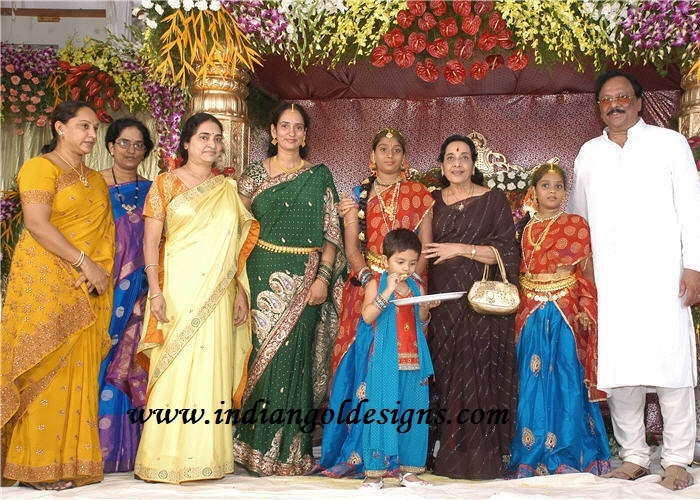 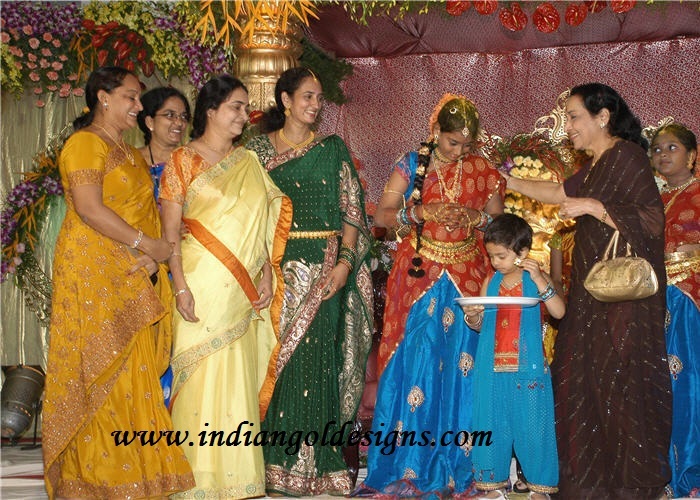 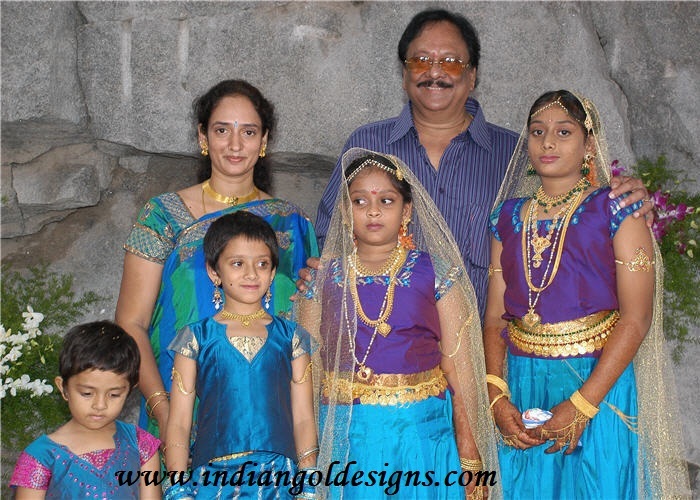 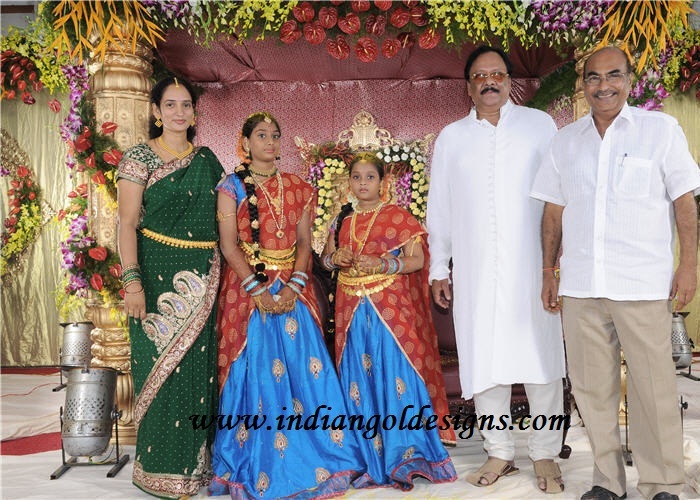 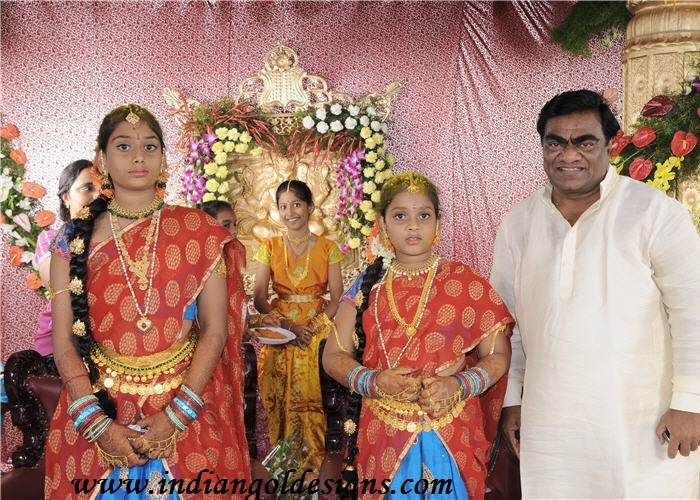 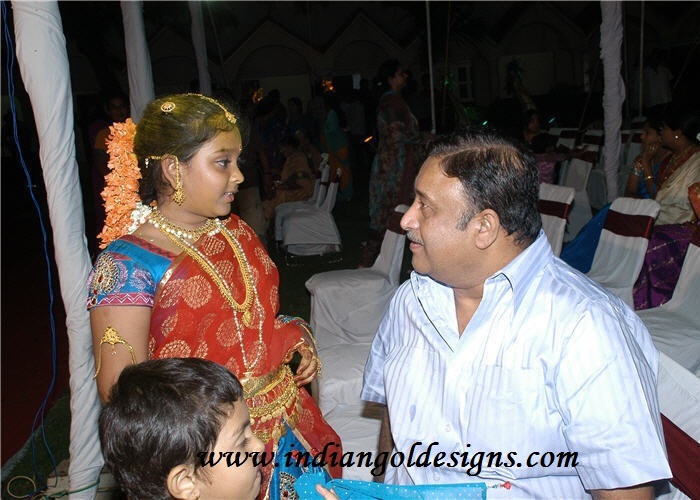 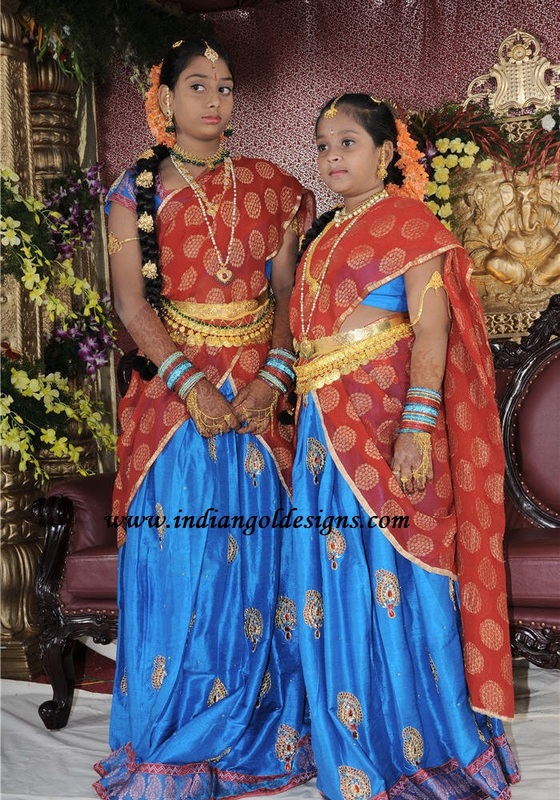 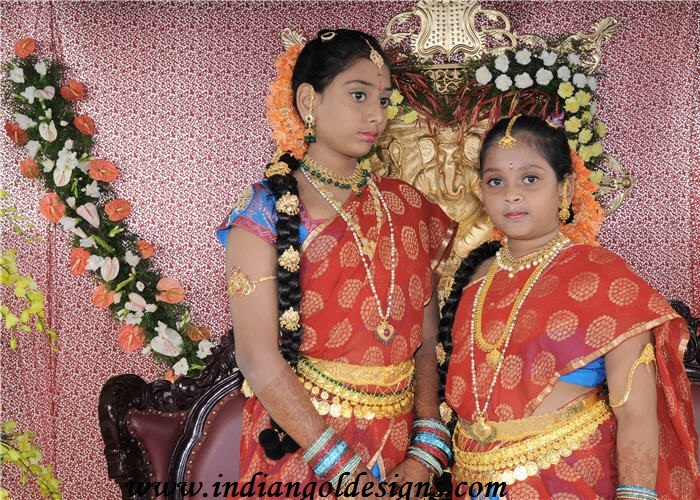 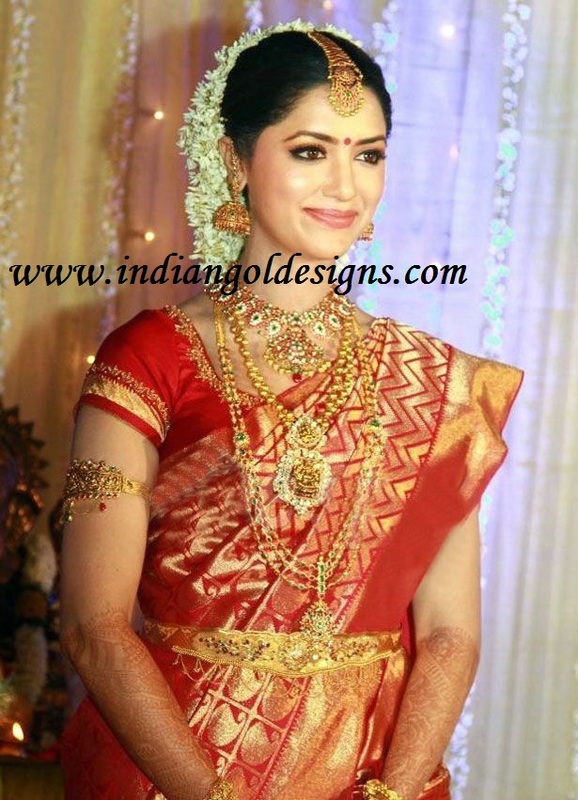 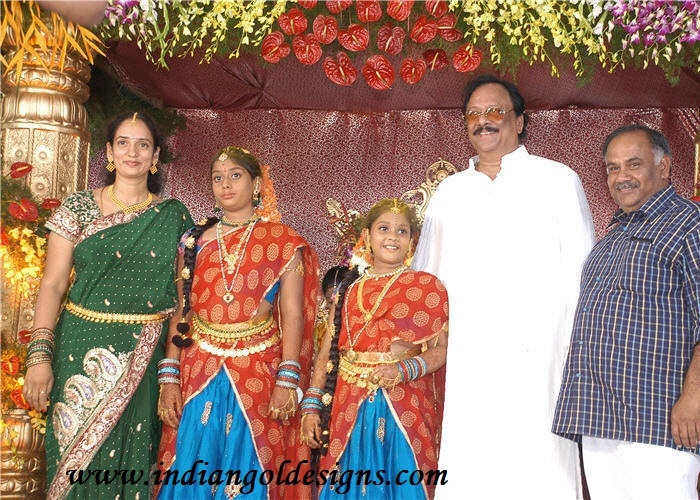 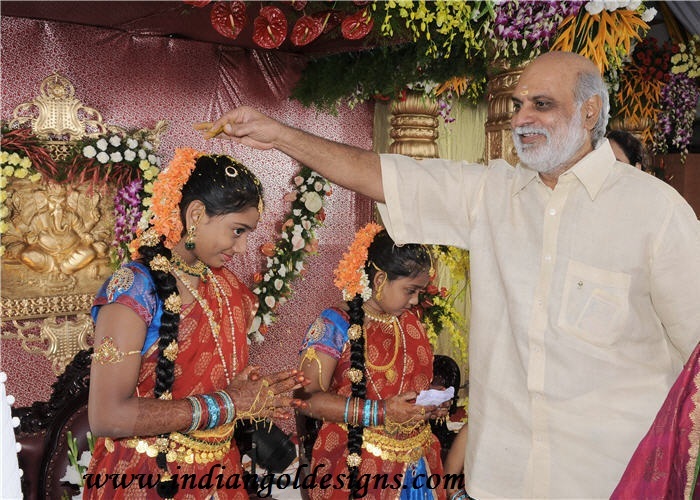 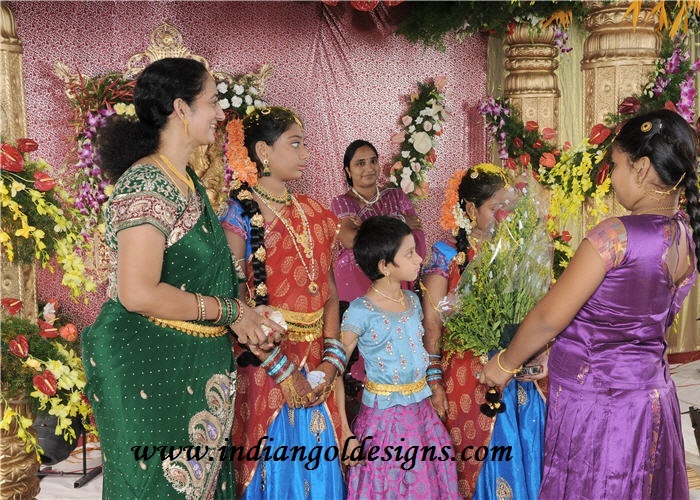 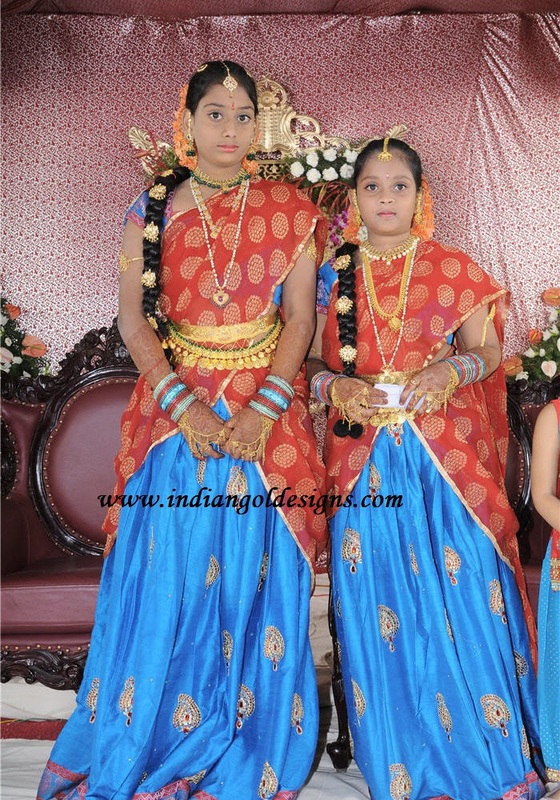 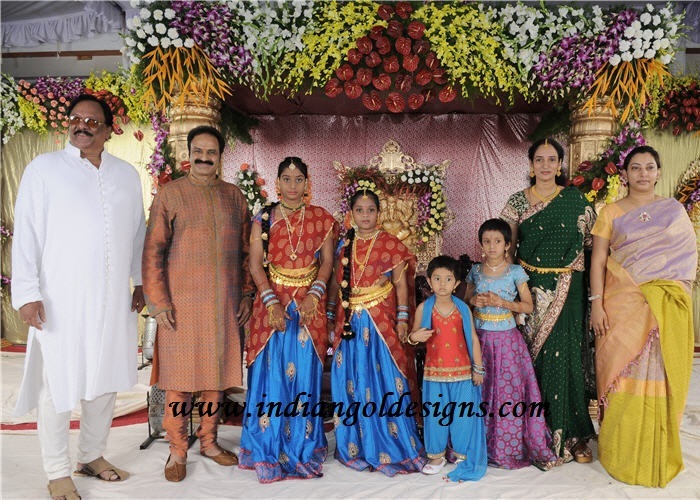 mamta mohandas wedding photos(more) . 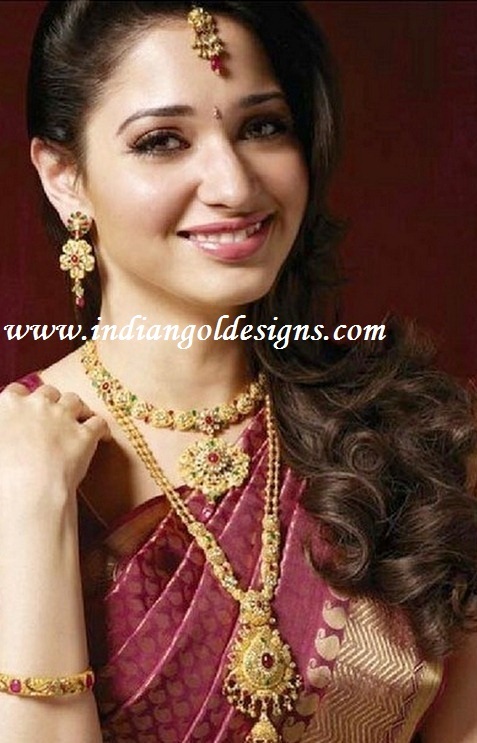 checkout beautiful bridal 22k gold jewellery . 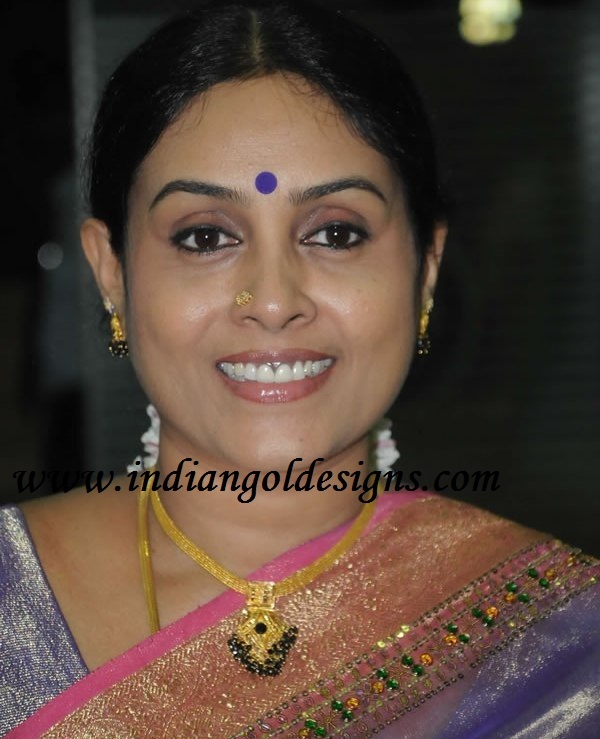 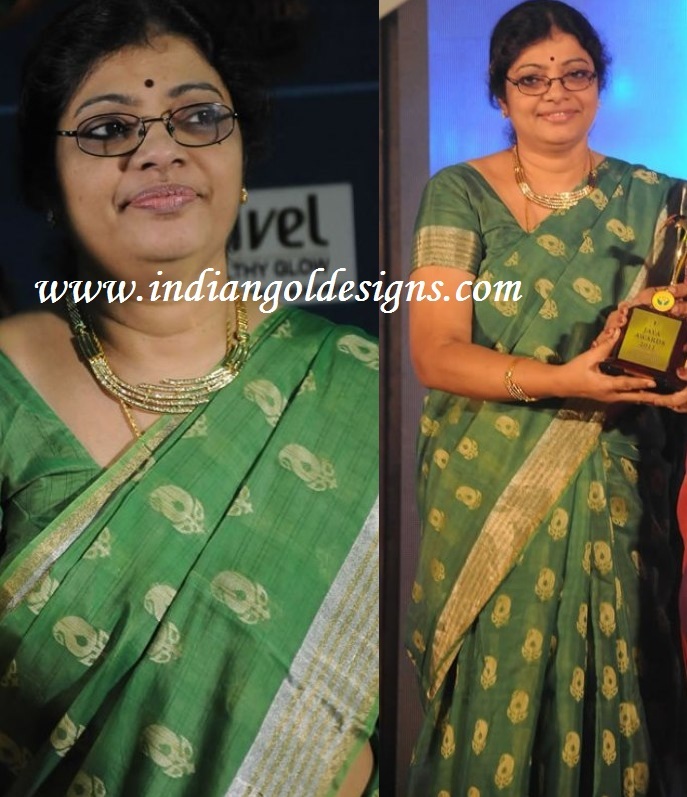 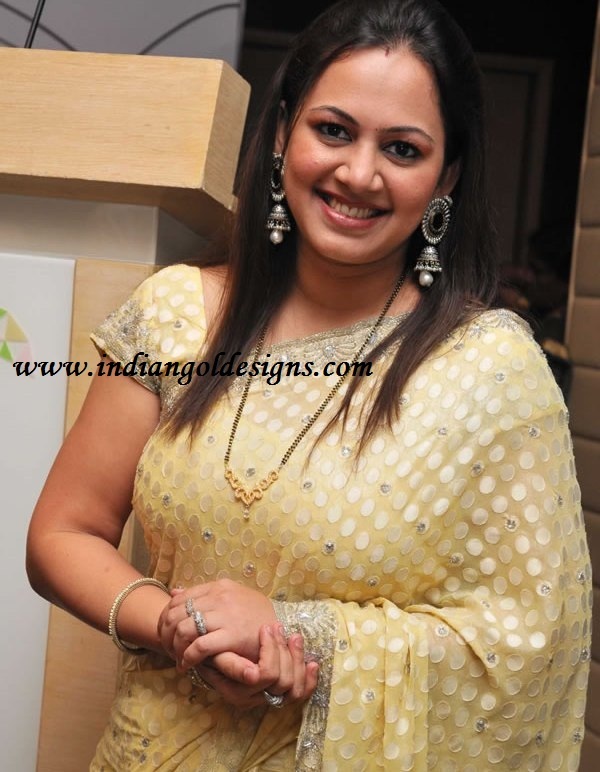 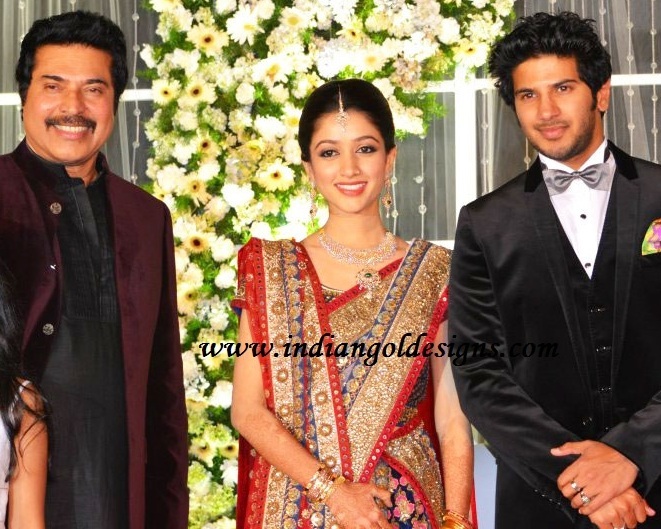 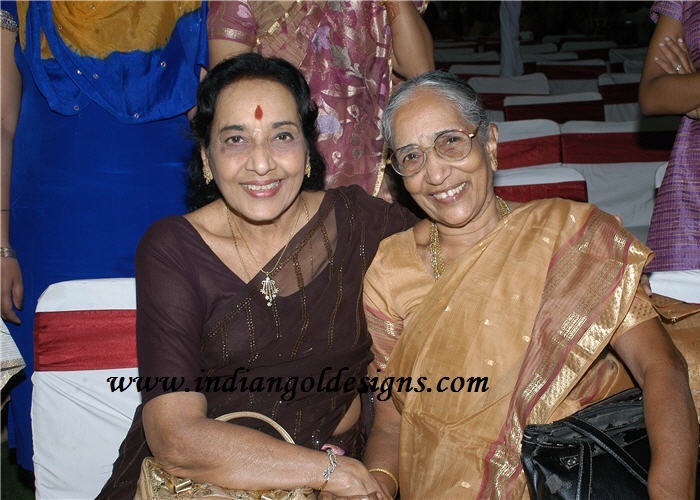 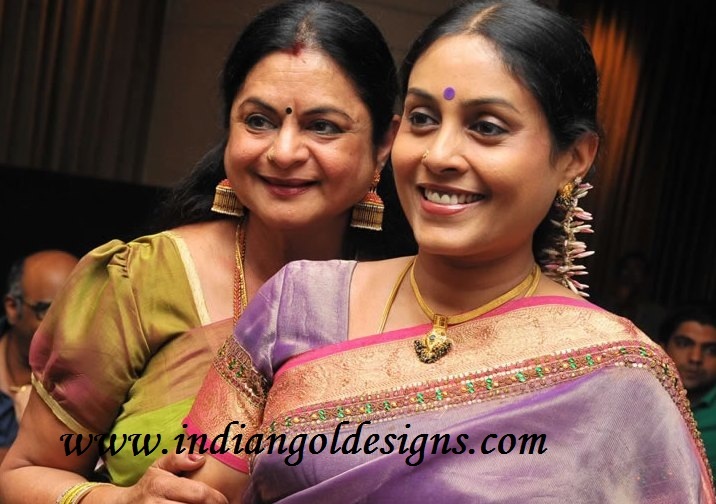 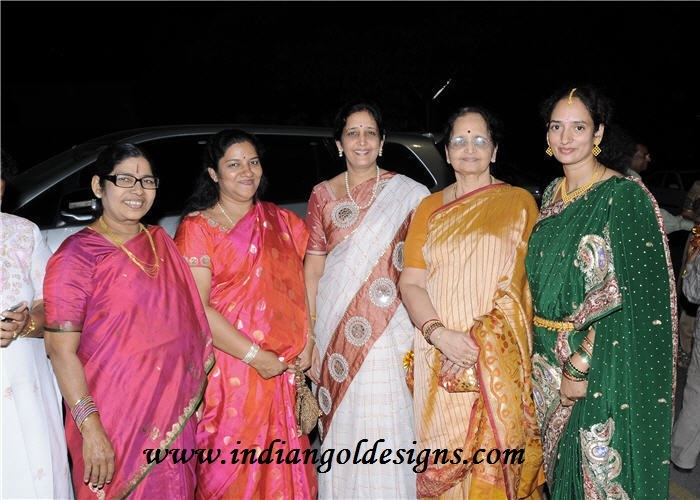 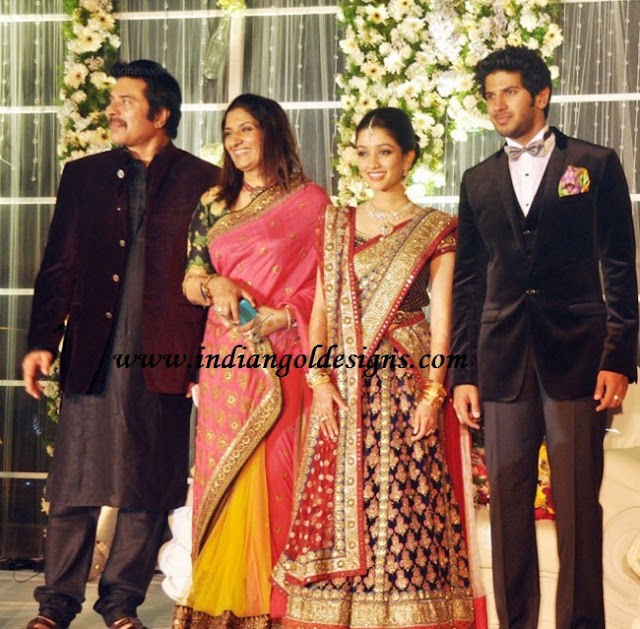 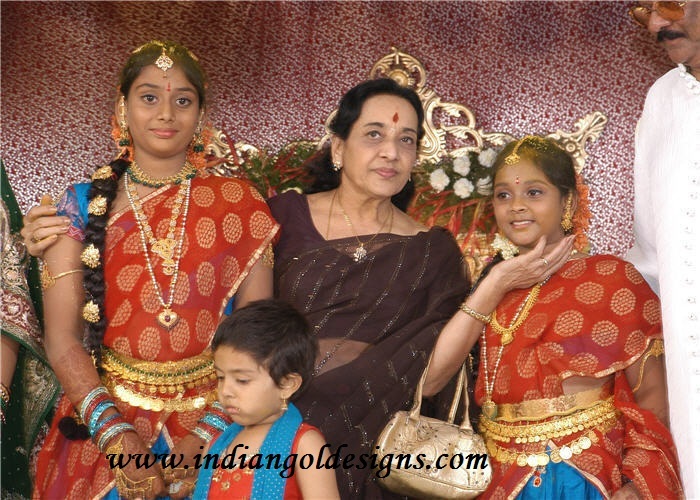 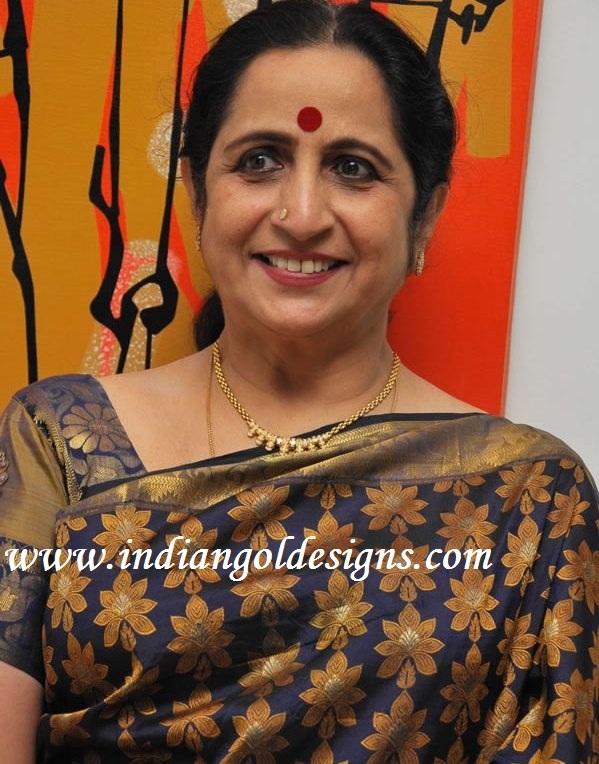 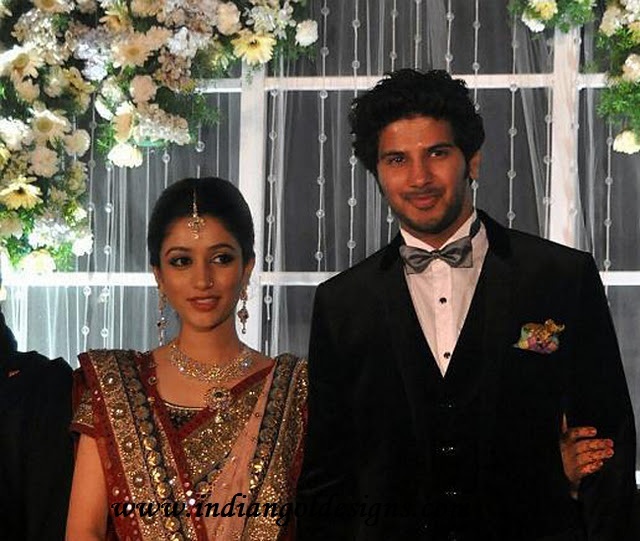 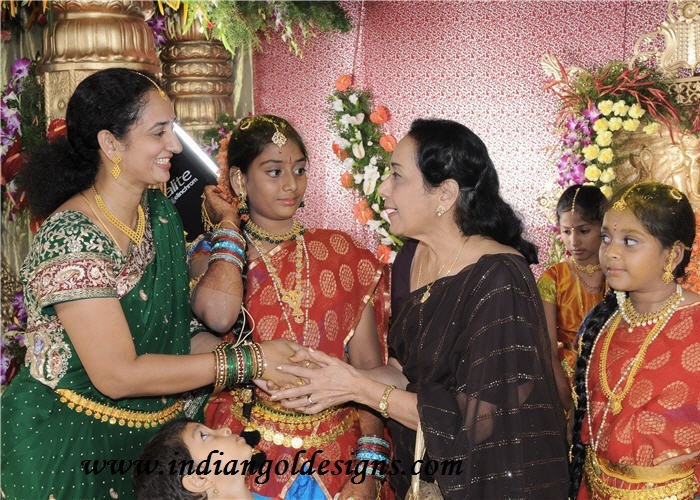 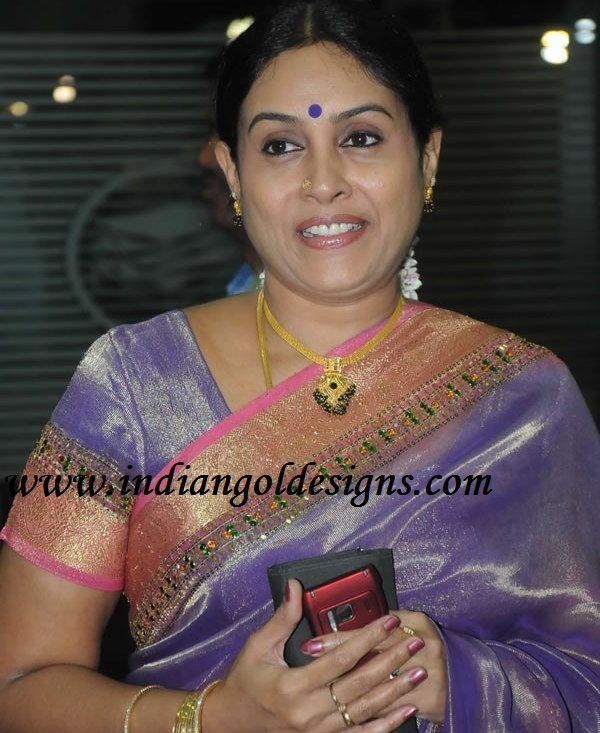 checkout bridal diamond jewellery at mammootty son dalquar salman wedding reception . 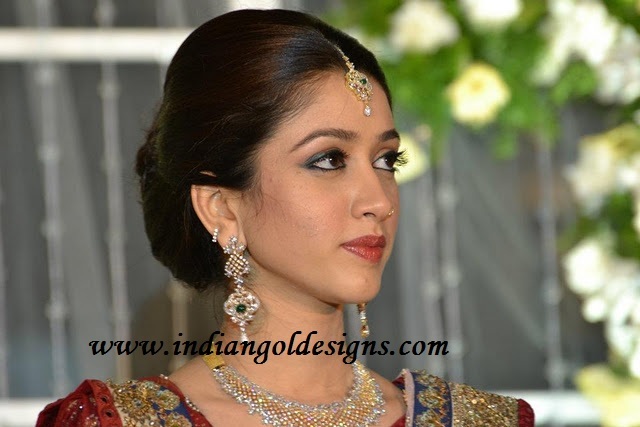 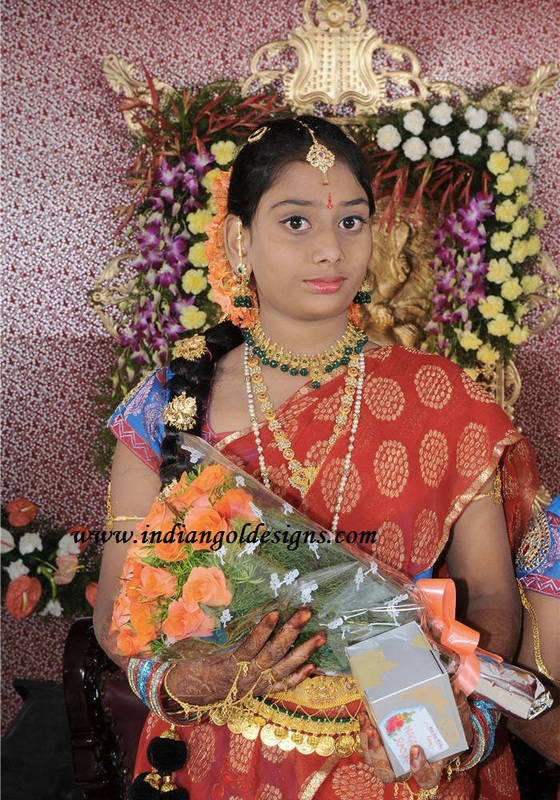 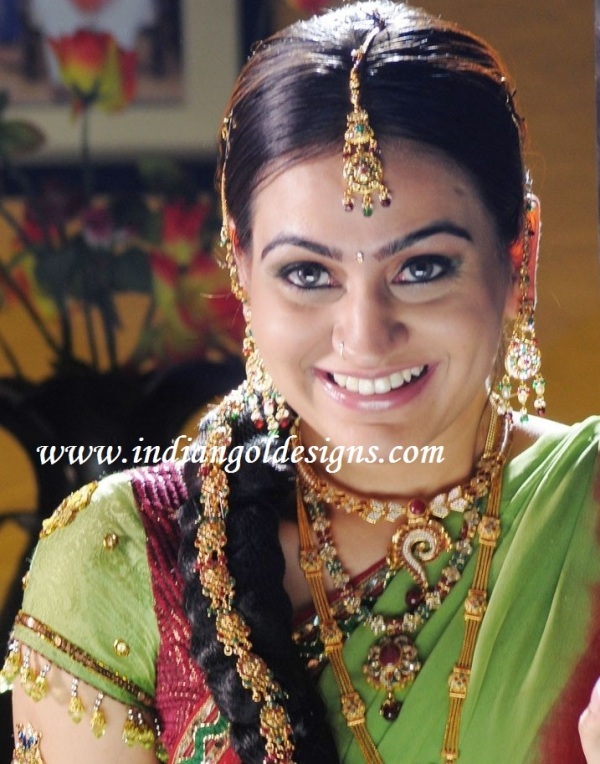 bride wearing diamond necklace set paired with matching earrings and tika.